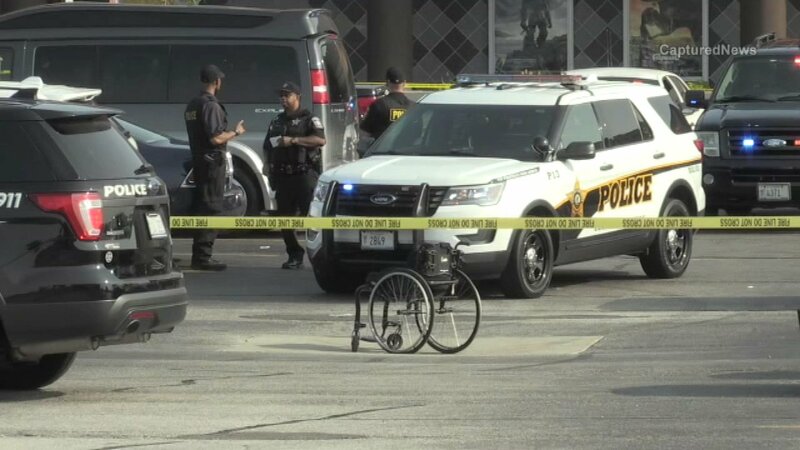 COUNTRY CLUB HILLS, Ill. (WLS) -- Police said the fatal shooting of a man in a wheelchair outside a movie theater in Country Club Hill sparked a high speed chase on the Tri-State Tollway. Troopers called the chase off after losing sight of the suspect's car. "I just thought maybe there was an accident, and when I heard there was actually a crime committed, it was discouraging," said Gaavin Davis, one of the motorists detoured due to the chase.